The Lower Modernisms – 024. Matchbook Delight! Part 6, SEITA Chamois. July 30, 2011 by James Black. 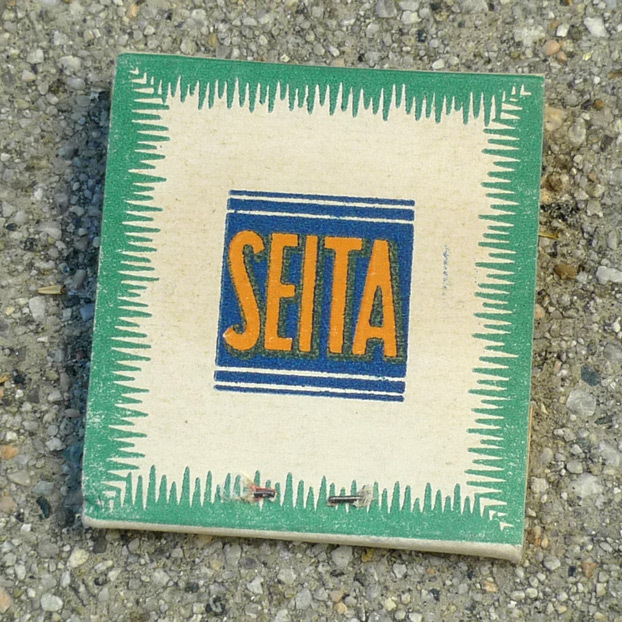 Thanks to Wikipedia, I have learned that SEITA was the Service d’Exploitation Industrielle des Tabacs et Allumettes – the French national tobacco monopoly. 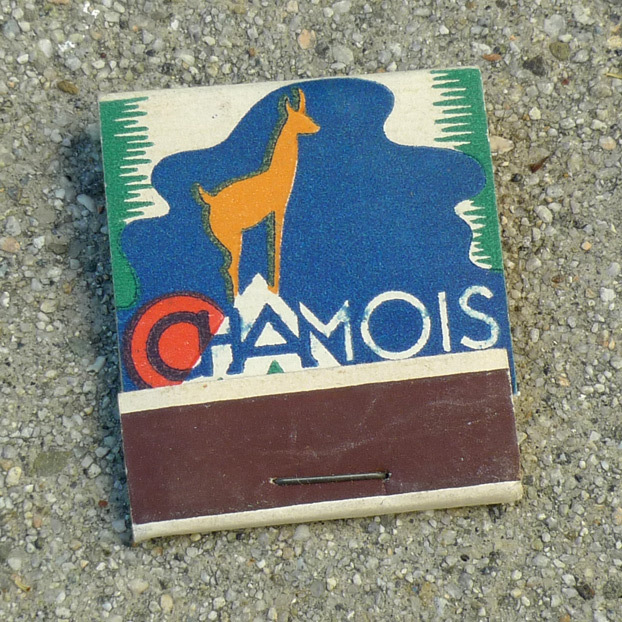 It appears that “Chamois” was a trademark for matches that they distributed. 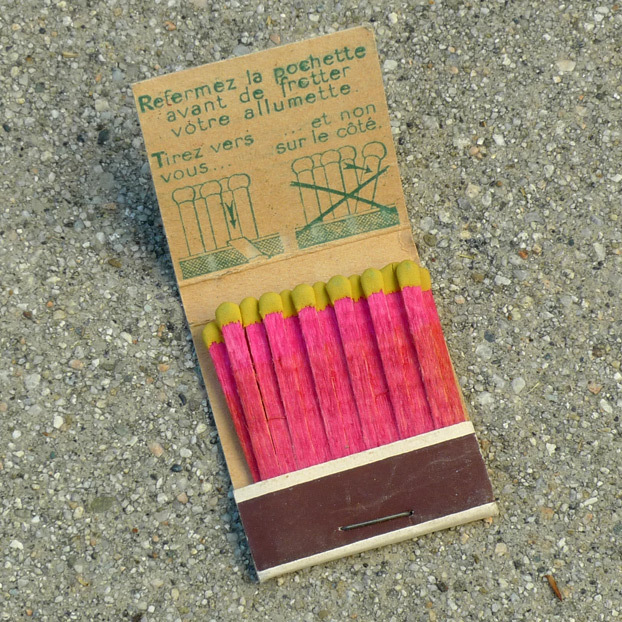 This was among the only foreign matchbooks in the collection I inherited, so evidently the collector was not a frequent traveler, but I hope that he did make it to France at least the one time. I am not sure if the stalagmity border is supposed to resemble something in particular, but it gives the sense that the SEITA logogram is illuminated within a clearing, as if in the woods. The matchsticks themselves are of wood. well blow me down!!! I’m in the process of putting up an art Deco wall display for my Graphics DT room in Trowbridge and had a colour copy of an old matchbook I found in my wife’s late grand-aunt’s affairs. Thought I’d give it a spin on Google ….and…. there it is! many thanks!